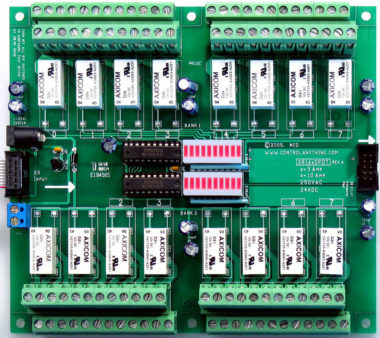 This Fusion 24-Channel DPDT Relay Expansion plugs into the Fusion FXR Relay Expansion Port to add more relays to your Fusion series dual interface relay controller. 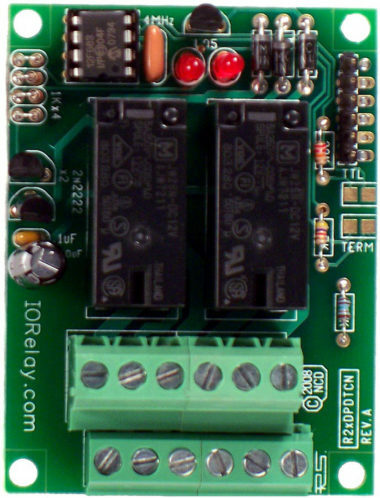 This controller includes 32 LED status lights and 6 connection points per relay. 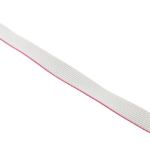 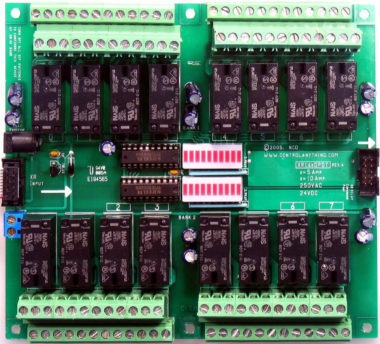 This expansion may be powered by a 2.1mm 12VDC barrel connector or via screw terminals for direct wired power installations. 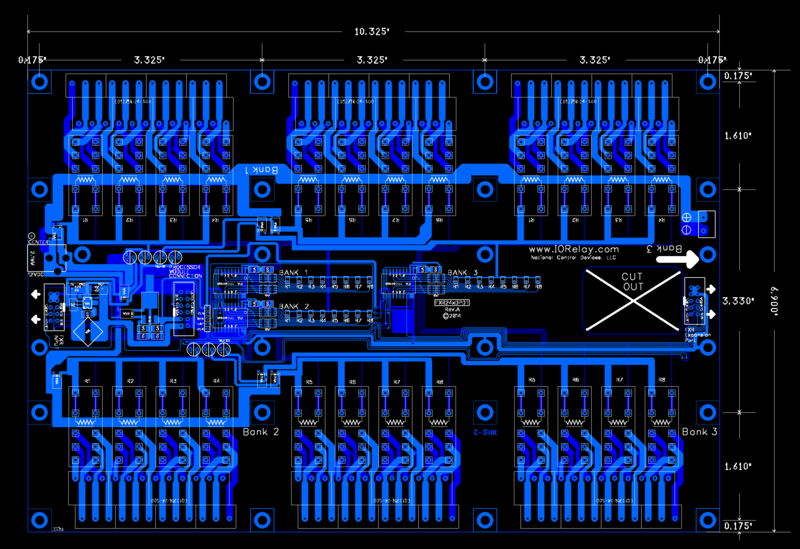 On-board switcher regulator power supply runs cool and provides plenty of power for the logic of this design. 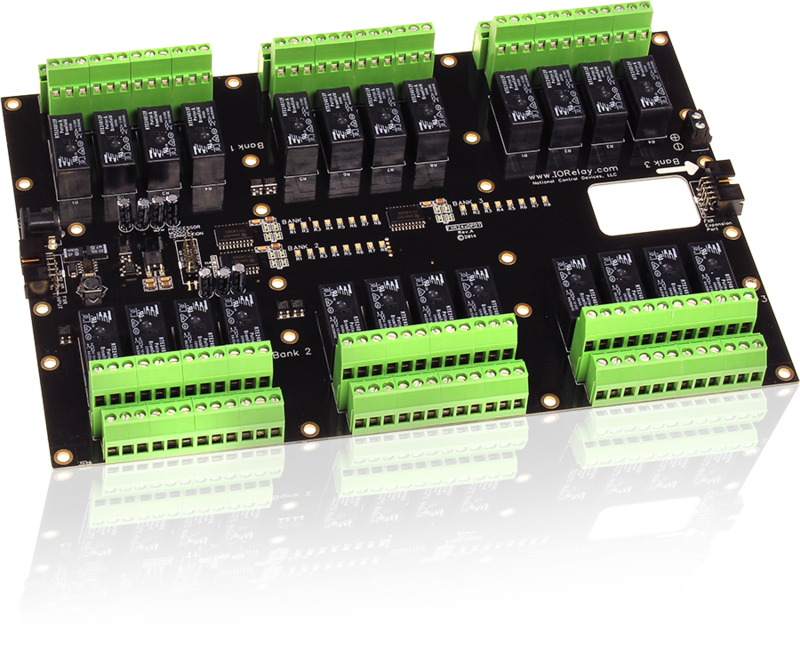 FXR expansion input and output connectors allow it to mix anywhere on the chain of relay expansion boards. 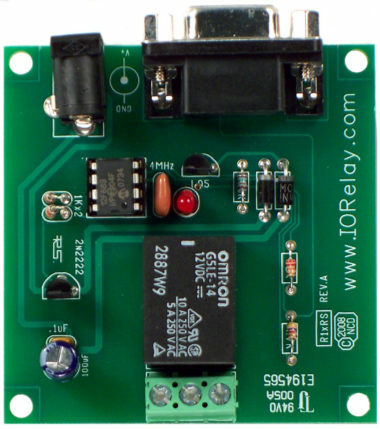 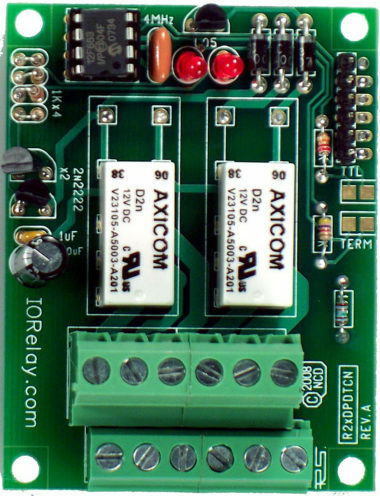 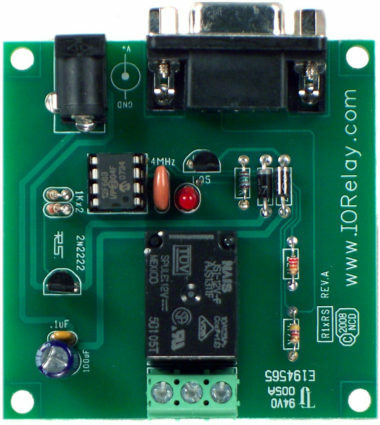 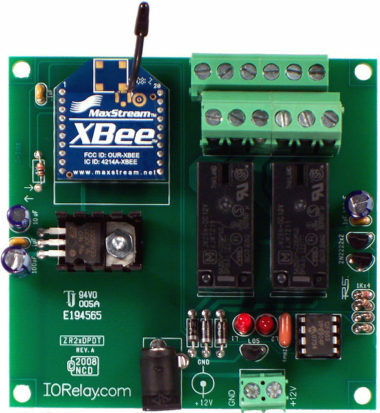 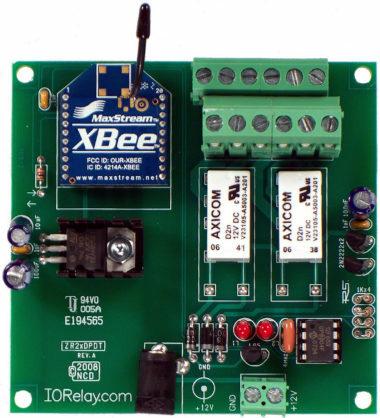 Mix different types of relays as your application requires.